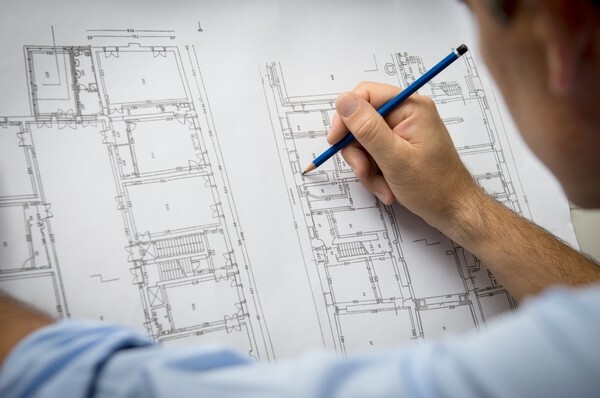 At Stone Countertop Outlet, our customers have the option to view exactly what their new countertops will look like before they are fabricated and installed. With our digital layout technology, we can combine your countertop design with the EXACT stone you have selected and present you with a full color view of how your final countertops will look. This is especially helpful for granite and other natural stones that have unique colors, patterns, and movements. 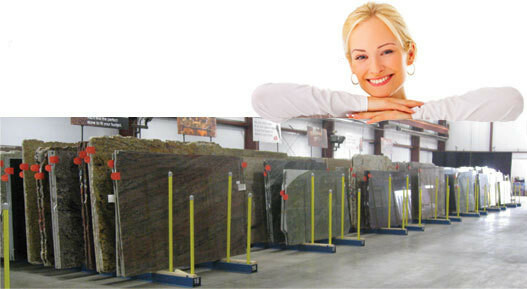 Stone Countertop Outlet offers online viewing of every slab in our inventory. 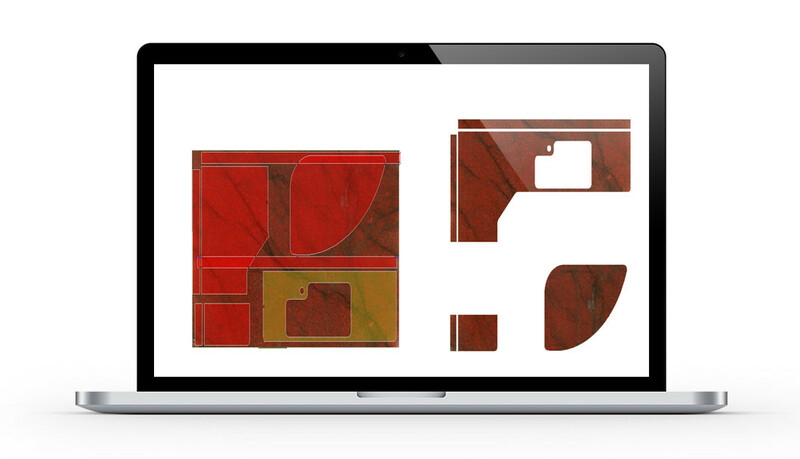 Updated in real time, we provide viewing and searching of the actual slabs we offer for sale. Because of the unique characteristics in color and pattern of each natural stone slab, it is always recommended and often required, for the customer to select the slab for their project. 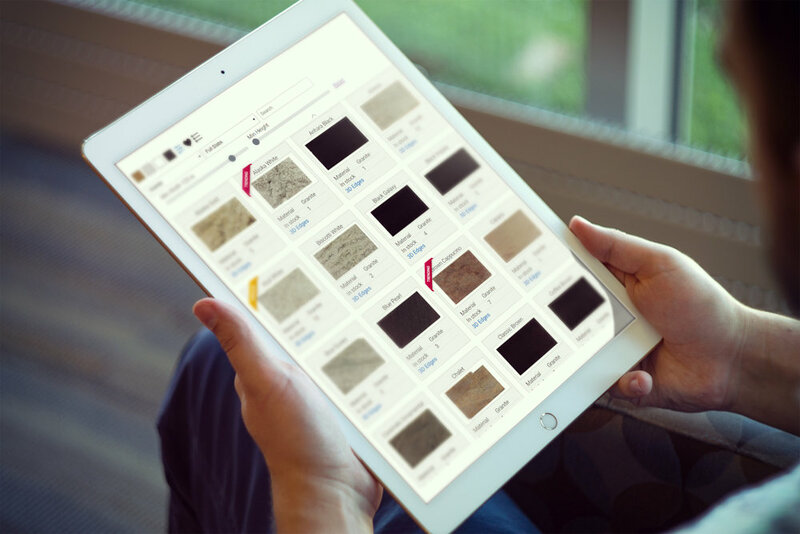 With Stone Countertop Outlet’s online slab selection tool, we make the early selection process convenient and easy. Our huge selection set us apart. With thousands of slabs and hundreds of colors, you’ll feel welcome and comfortable while shopping in our well-lit, climate controlled slab showroom & warehouse. You’ll find granite, marble, limestone, exotics, onyx and others in our extensive natural stone inventory. We offer a large selection of many of the most popular quartz surface brands including , HanStone®, Zodiaq®, Silestone®, and CaesarStone®. We also carry ECO by Cosentino, Vetrazzo and Rinato as part of our GREEN collection. “Just wanted to let you all know how flawless of an experience I had with your company. I started shopping for countertops last year at the Minneapolis Home show and then visited your booth again this year and was helped out by Colleen Kull. I called her on March 4th and meet her and picked out the stone I wanted. From the first visit until my install date everyone associated with the process was top notch. It is great finally have a company fulfill all my needs on the first go around.“ James B. “We are extremely pleased with our granite countertops!. Your service and patience was much appreciated, as we were worried about the fit into our 70 year old cabinets. You went above and beyond to ensure everything was perfect. We are proud to tell everyone that our granite was installed by Granite-Tops and Stone Countertop Outlet. Thanks again.” Dave and Holly K.